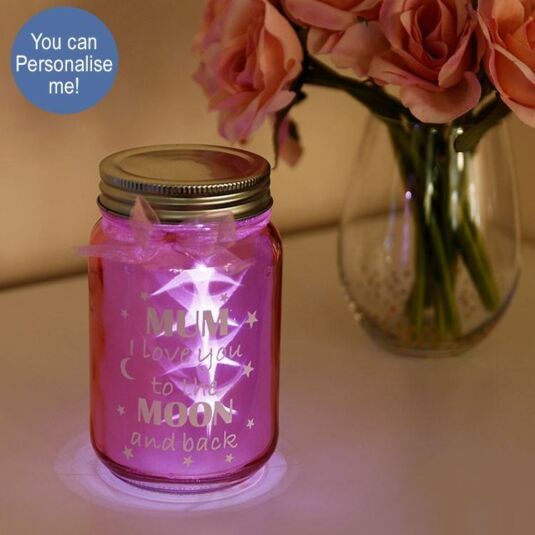 Tiny white stars and a crescent moon are scattered around the message, and a pink ribbon finishes the jar. Give a memorable gift with this stunning starlight Firefly jar, which looks lovely both switched on and off and can be displayed on a shelf, mantelpiece, table - or wherever a focal point is needed. A lovely birthday, thank you or Christmas gift for a treasured mother.